One of the simplest yet most delicious recipes that I gleaned from my Mum's cooking is Patta Gobhi Bhurji. 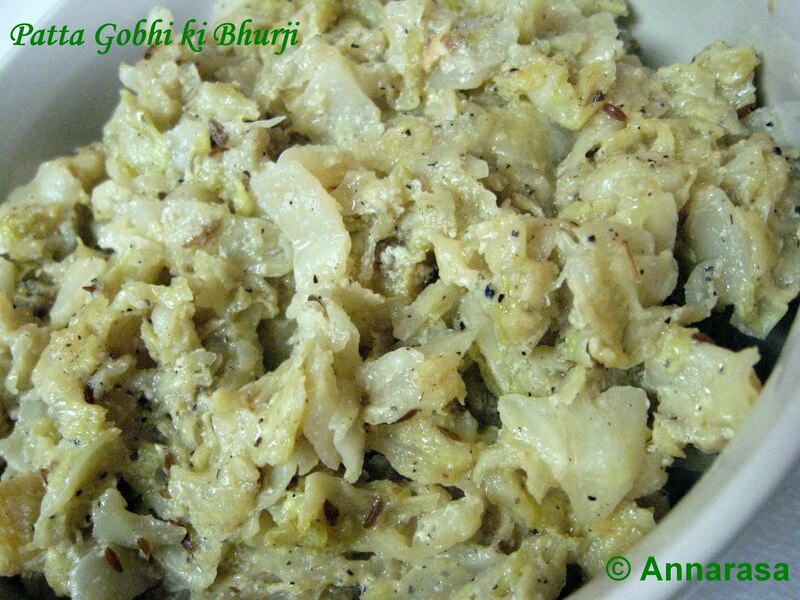 A creamy cabbage dish made to suit an Indian meal, its both fast to cook and nutritious to eat. Mum made this for me when she was here last month. I can still taste the Bhurji bursting with flavour in my mouth!! Heat oil in a pan. Add the cumin and asafoetida, and allow it to toast in the oil. Stir in the shredded cabbage. Cover and let cook in its own steam for about 8 minutes, stirring occasionally. The cabbage will sweat and reduce. Remove cover, add the milk, and cook until the milk dries out. Next stir in the cream, crushed black peppercorns, and salt to taste. Cook until the cream is absorbed in the cabbage. Finally stir in the ghee and turn off the heat. Let the vegetable sit in the pan for another five minutes. Serve hot with roti or paratha (Indian Flatbread). Vegan Substitute: Skip adding the ghee in Step 6 of this recipe. very interesting and wonderful recipe ! !